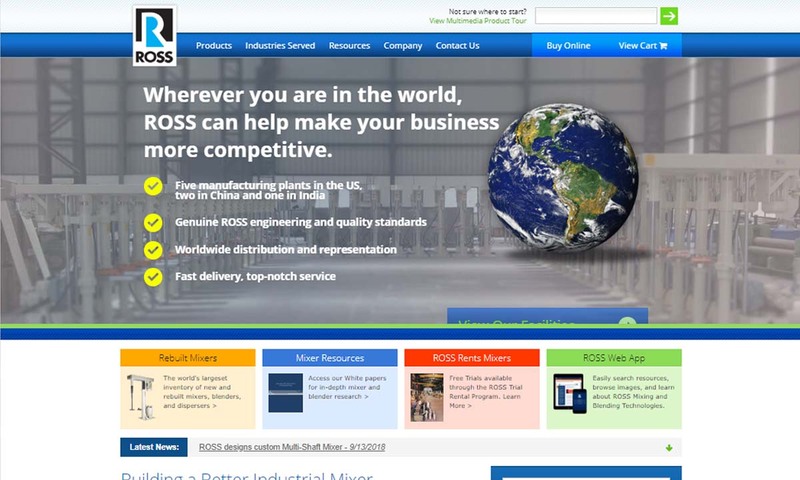 A reliable source for Industrial Mixers information and a resource for accessing leading Industrial Mixers and suppliers. When materials need to be broken down, manufacturers use mixers. A mixer can be any machine that can blend, homogenize, or emulsify a various type of materials into a single substance. Mixers—also known as blenders—are capable of thoroughly combining any liquid or solid that a final product requires. In many industries, mixers are crucial machinery. Since mixing is often the first step in making a variety of products, they can be found in numerous businesses. Some of the industries that rely on mixers most include: adhesive and sealant, water treatment, automotive, pulp and paper, agricultural, chemical, pharmaceuticals, food and beverage, and cosmetics. Mixers are used very extensively in these industries, and deal with materials that must be thoroughly broken down and blended. Mixers When materials need to be broken down, manufacturers use mixers. A mixer can be any machine that can blend, homogenize, or emulsify a various type of materials into a single substance. 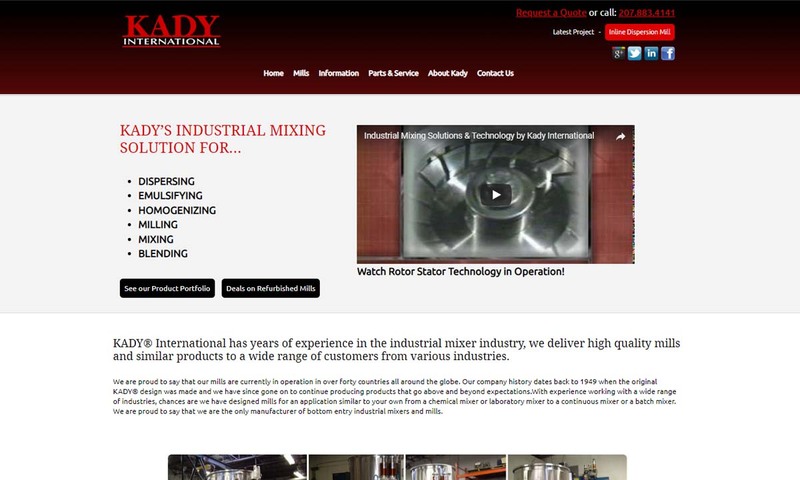 As world leaders in industrial mixer manufacturers, KADY International offers high-performance industrial mixing machinery including top and bottom entry batch mixers, high shear mixers and chemical mixers. 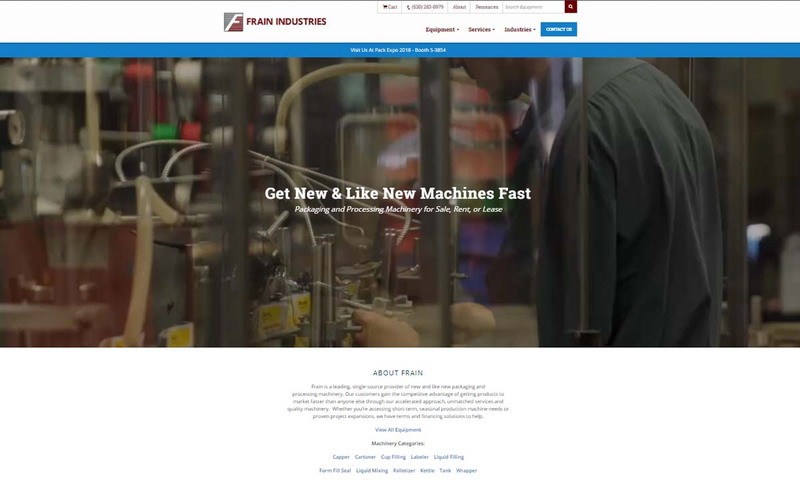 Frain Industries is the world’s largest provider of high quality processing machinery! We offer a wide variety of mixers based on the product and volume our customers require. 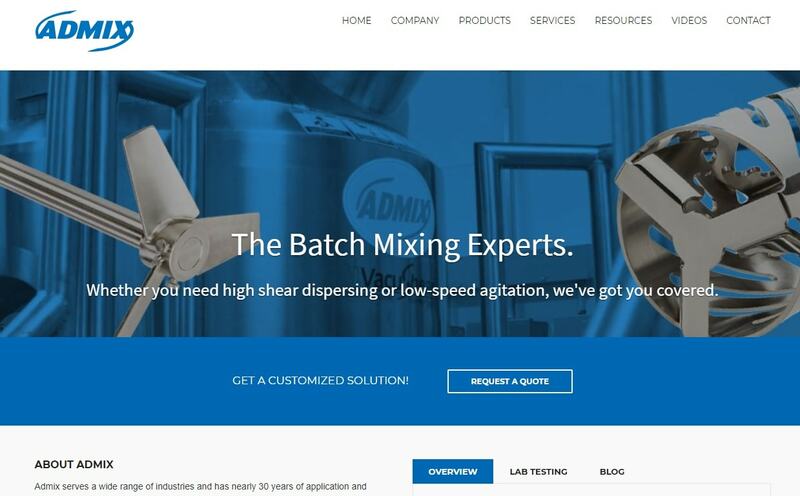 Admix, Inc. manufactures stainless steel mixing technologies & assists with tough mixing issues for a variety of markets. Choose from products such as basic mixers, Rotomaxx™ high torque mixers, BenchMix™ programmable lab mixers and more. Brawn™ Mixer designs & manufactures standard & custom industrial fluid mixers—top entry, sanitary & light-duty. Industries served by us include food, pharmaceutical, petrochemical, chemical & more. At ARDE Barinco, our goal is to help our clients mix, disperse, deagglomerate, grind and compound their high quality products in the shortest amount of time with the lowest operating and capital cost. 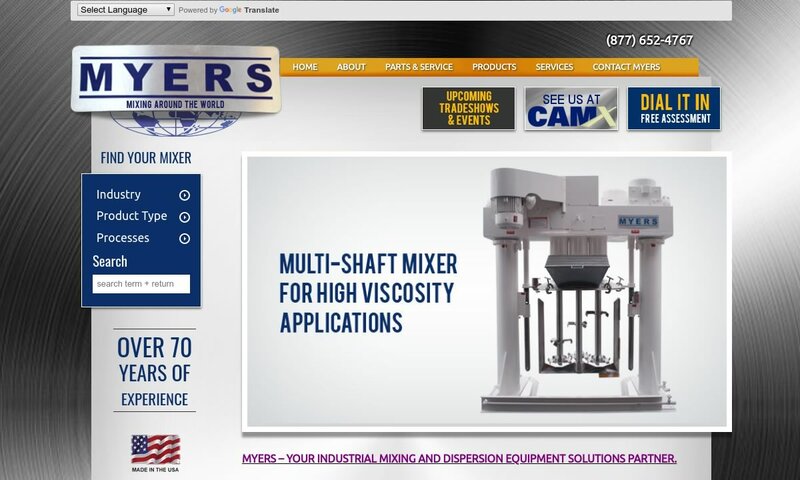 With over 70 years of innovation, Myers Mixers offers a full line of high speed single, dual & multi-shaft mixing systems, homogenizers, agitators, batch tank bead mills, vacuum units, tank mounted & hoist mounted, laboratory mixing units, and more. Modern mixers have been in use since the mid to late 1800s. The first patented mixer (1856, Baltimore, Maryland) was designed and marketed for use in the home. Users found this invention to be very handy, and from then on out, manufacturers came out with new mixer and mixer bowl designs routinely. About 30 years later, in 1885, Rufus Eastman invented the first electric motor mixer. With the addition of electricity, mixers became more efficient and higher powered. Finally, at the turn of the 20th century, engineers at the Hobart Manufacturing Company invented the first industrial-sized mixer. One of their many early inventions was the standing mixer, designed in 1908 by Herbert Johnson. He got the idea for his invention after he watched a baker mix dough with a metal spoon. His goal was to mechanize this. He furthered the company’s success with the development of the 20-gallon standing mixer, which by 1915 could be found in countless bakeries across the United States. After this, manufacturers began using mixers to blend bulk powders in general. Since those early days, manufacturers have branched out to make mixers useful in countless industries. Today, mixers are used to assist in an incredibly wide range of applications, from household, to heavy duty industrial, to laboratory. One type of mixer is known as a paddle mixer, which is built with large paddles that rotate around a horizontal rotating axis. Another type of mixer is a static mixer, which uses flat, thin, ribbon-shaped blades. These mixers get their name because they contain no moving parts. Instead, they contain strategically-designed blockages that forcefully blend the materials together. Static mixers are sanitary and easy to clean and maintain because of the simple arrangement of their blades. 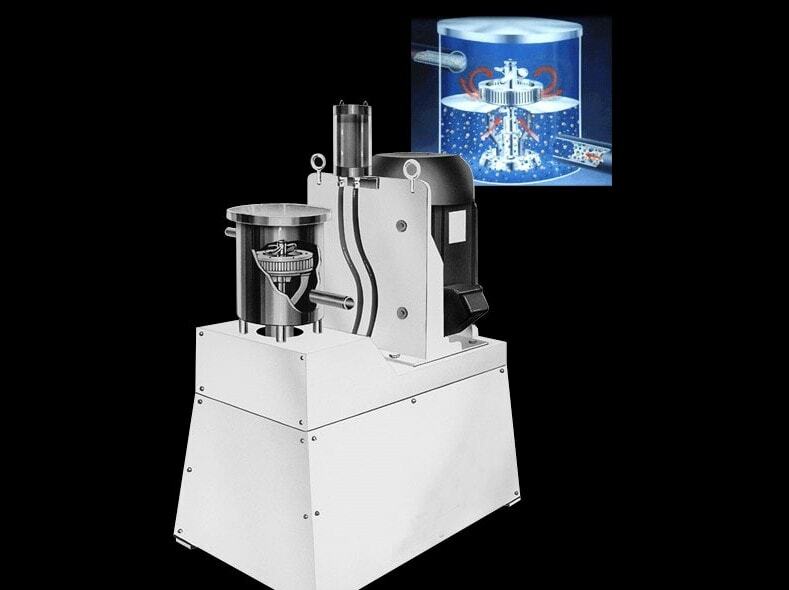 In contrast to static mixers, high shear mixers are machinery that operate at a high speed, and are designed to apply emulsification, disintegration, particle size reduction, dispersion, and homogenization to a variety of solid and liquid materials. They work best in industries like food prep, paper and pulp and pharmaceuticals. Drum mixers are a type of mixer that is built to blend low-to-medium-viscosity materials such as adhesives or cement. Drum mixers are made from gallon drums that rotate to mix materials of greatly varying particle sizes. Usually, they mix low to medium viscosity materials, like slurries. Certain mixers are used to give the final product a particular effect or appearance once mixed with certain materials. Food mixers are one example. They are commonly used to beat, knead, whip, blend, mix, or fold edible ingredients. Because of strict food and health regulations, these mixers must be sanitary. Though it’s often used interchangeable with “mixer,” on its own, the term blender refers to mixers with sharp blades that work at high speeds. These are best for breaking material down into small pieces. Planetary mixers are agitators used in cooking (mostly to make dough) or in chemical mixing. They are called planetary mixers because they orbit around the outer edges of mixers bowls on an elliptical or circular axis. Homogenizers are used to completely blend and break down materials. Industries such as science, technology and food processing have been using homogenizers for years. Milk and cream are familiar examples of edible products that are processed by homogenizers. Emulsifiers are a high-velocity type of mixer that uses a perforated screen to mix materials that are otherwise highly difficult to blend. Agitators are used to process substances with low viscosities such as liquids. The agitation process is mainly a process aid, acting as a secondary procedure in the overall process. Note that is does not do well with thicker, more viscous materials. Batch mixers are used mainly to blend materials with varying lengths of mixing. To carry out this process, the mixers blend a single load of material, and are then refilled with the next material, or batch. Ribbon mixers are static, meaning that they don’t have any moving parts. Their flat, thin blades instead function as stationary roadblocks that the materials they’re mixing must go around. When they do this, the materials mix and blend together. Ribbon mixers, like most static mixers, are easy to clean. Industrial mixers consist of a large vat or tank to hold the materials, and blades that agitate the materials using force. Industries that involve large-scale commercial production will most likely use industrial mixers, as they are capable of processing materials in large volumes. In-line mixers are mixers placed inside pipes, or in line with material flows. Instead of mixing materials in a tank, they mix them right there in the pipe. This allows them to process exceptionally large batches of material while using an exceptionally low amount of horsepower. They’re also produce consistent batch turnover. There are two main types of in-line mixer: static in-line mixer and dynamic in-line mixer. 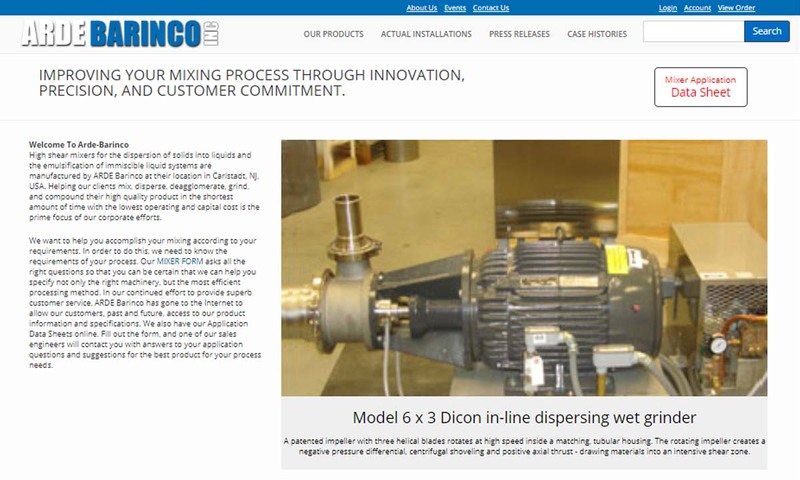 Static in-line mixers work using stationary contoured mixing parts, while dynamic in-line mixers use a combination of high-speed rotating parts and pump pressure. Stand mixers, also known as standing mixers, are mounted on top of their motor so that they can stand upright. Stand mixers are easy to diversify, which is why they’re available in anything from 1-gallon countertop styles to commercial styles upwards of 25 gallons. Portable mixers are mixers that can be moved from one site to another to provide much needed mixing and blending that cannot be performed off-site. For example, contractors often use portable cement mixers to perform small jobs, like driveway concrete mixing. Portable mixers can be mounted on trucks or trailers as in-transit mixers, or they can be moved around on their own and powered by electricity. Simply put, tank mixers, or mixer tanks, are mixing machines that use tanks to mix their materials. Usually, they’re made from stainless steel. The standard features of a mixer are: a main chamber—which is usually a large vat or tank—and a motorized set of paddles or blades that rotate on an axis. Depending on the application for which the mixer is used, it may have either a set of flat paddles or sharp blades. These attachments are usually removable in order to enable the mixer to work with as wide a variety of materials as possible. Mixer systems offer their users the benefits of: consistency, efficiency, ease of use and durability. While it is possible to mix materials without them, mixers offer a consistency of output that is hard to find elsewhere. Plus, other methods don’t really mix materials nearly as well and as quickly as they do. Mixers are designed to work well and last a long a long time. With them, your products will come out thoroughly and evenly mixed for years to come. Most mixers are made from stainless steel, due to the material’s sanitary and corrosion-resistant nature. Other materials that may be used are aluminum, cast iron, steel, titanium, or thermoplastic. When designing a mixer, manufacturers must make decisions about details like: the materials, the type, the design of the blades and the power level of the motor. They make these decisions based on application specifications like: the thickness and viscosity of the material to be mixed, the volume of material to be mixed, the corrosive of the material to be mixed, the space available to the customer and required levels of sanitation. A manufacturers’ goal is to assemble the mixer with precision and and select high quality materials that will last as long as possible. Typically, they use materials that are corrosion resistant and have a frictionless surface, like those we’ve already mentioned. While it is possible for mixer manufacturers to customize mix equipment, it is not super common. However, custom mixers do offer some advantages worth considering. Namely, custom-built and specialized machines enable their operators to have more control over the mixing process. Also, because they are specialized custom machines wear down less quickly than standard models. Some of the most common specializations include: using high velocities to mix multiple materials and modifying the mixer to be able to handle drastic drops in pressure. Mixers must be reliable and have an exceptional amount of durability. To that end, we recommend you only purchase mixers that have been certified by a reputable and widely accepted standards organization. In the US, the best example of this is ASME, or the American Society of Mechanical Engineers. Depending on your application, industry and location, other standards may be of interest to you as well. Some of the most common include: API, UL, USFDA, BISC and ABS. To find out more, talk to your industry leaders and applicable governmental offices. 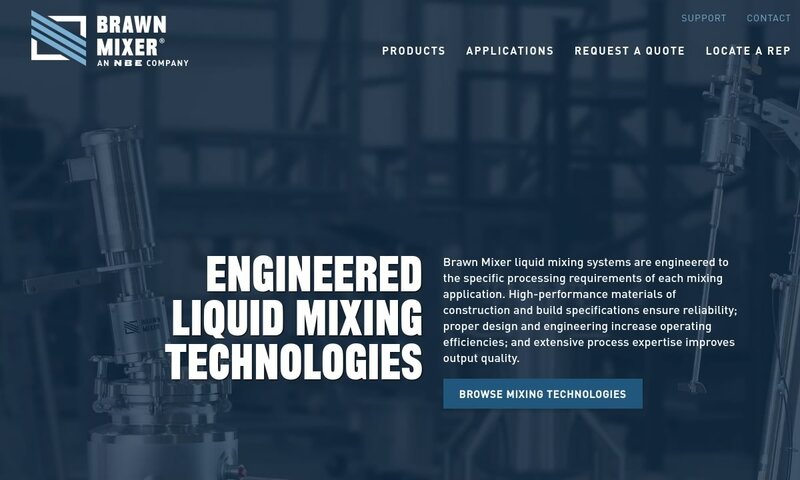 Though it’s easy to find and order standard processing equipment sight unseen online, if you care about your business, you’ll work with an experienced mixer supplier instead.  That’s not to say you won’t look at their company online; it just means that you’ll do more than read a description and click “add to cart.” For the best results, you want to talk with a professional who can make sure what you’re getting is right for your application and customize the product if it’s not. Find a supplier like that by checking out the mixer manufacturers we’ve detailed on this page. All of those whom we’ve listed have proven themselves with their customers time and time again. They are all known for their quality work and customer service. To choose from among them, we recommend you take some time to compile a specifications list, then browse the manufacturers here. Consult your list frequently as you browse. Who looks like they might service you best? Pick three or four to whom you’d like to speak, then reach out to each of them for a quote. Don’t forget to discuss your standard requirements, budget, timeline and delivery preferences. After you’ve talked to each of them, compare and contrast their answers. Finally, choose the right one for you. Good luck!